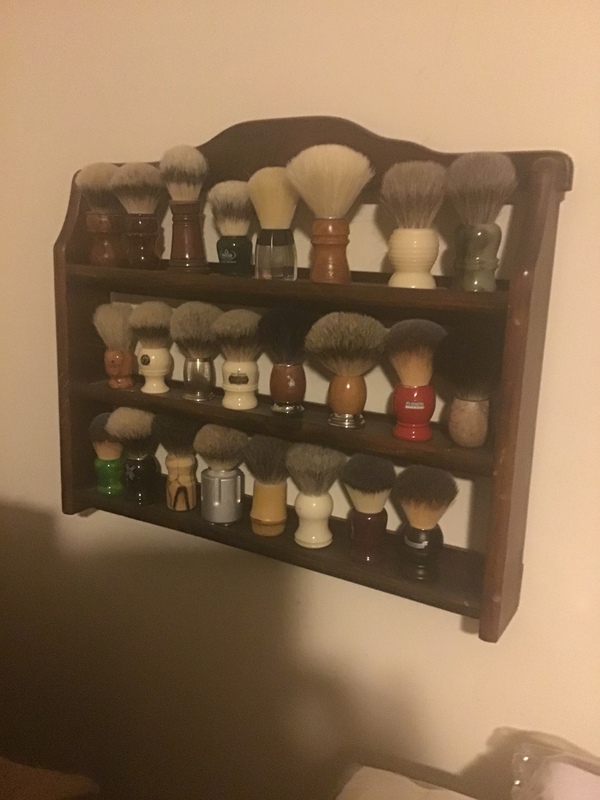 Show Us How You Store Your Brushes! 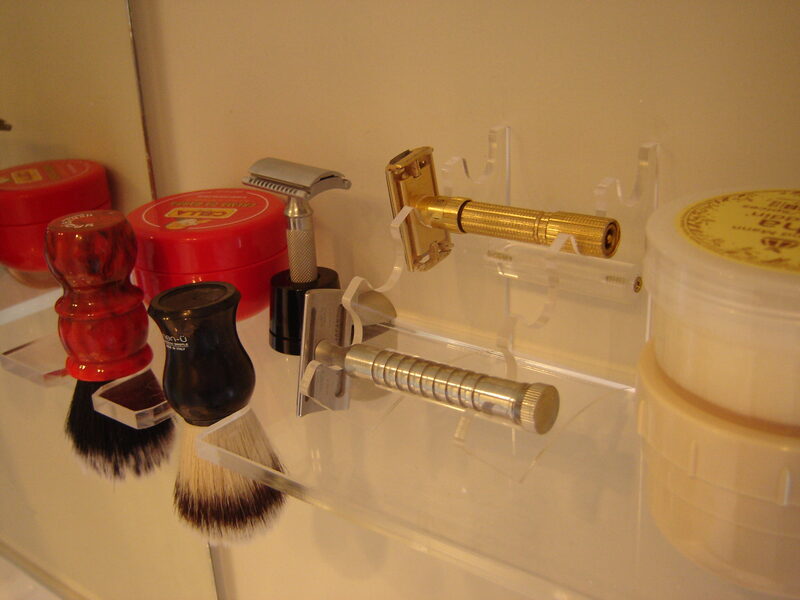 I recently fashioned some shaving brush holders out of some huge brass nuts. Fortunately, the brushes I have, have a variant on the internal diameter of the nuts so they fit. Let's see what ingenious ways you have found to store your brushes. Mine stand on their flat bottoms in a medicine cabinet, that's why they have flat bottoms. You can read the writing on them when they are right side up. The holders do look cool, and save a bit of space, but I reckon it doesn't really matter whether you store brushes upside down or on their bases. One member on another forum even tested drying times by weighing brushes at regular intervals after use, and concluded there was little or no difference. It is about the look, not drying times. Just 1 or 2 brushes then? I made an acrylic shelf with cutouts for the brushes.